It happens rarely that we include more than one product in a single review, but that certainly is the case today, where we will be looking at no less than four separate products in one review. MSI has sent us a range of products that together make up for an extremely awesome gaming bundle. 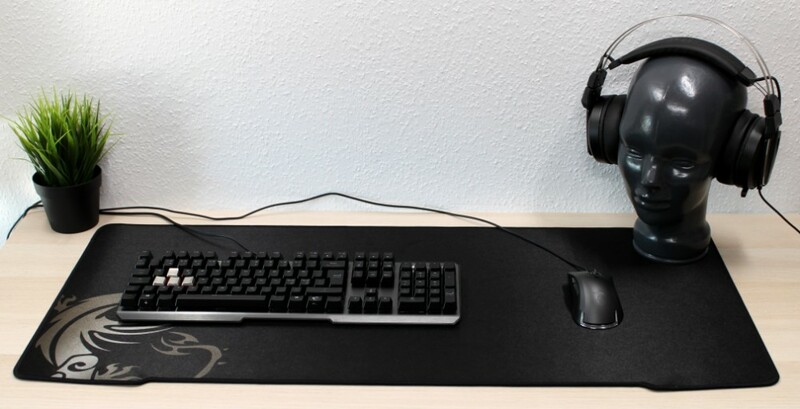 We’re talking about a mouse pad, a mouse, a keyboard and last but not least, a headset - in other words, everything that you’ll ever need in order to get started with gaming (well, and a PC)! In this review, we’ll be testing these products as a whole, and we’ll evaluate the strong points and weaknesses of each individual product. Before we get there, we’ll start off with a presentation video, down below, and after that, we’ll go over all the technical specifications, and lastly, we’ll carefully go over all of the individual products. Onwards! I dropped by MSI’s website in order to gather some details on the products that we’ve been provided in this gaming bundle. 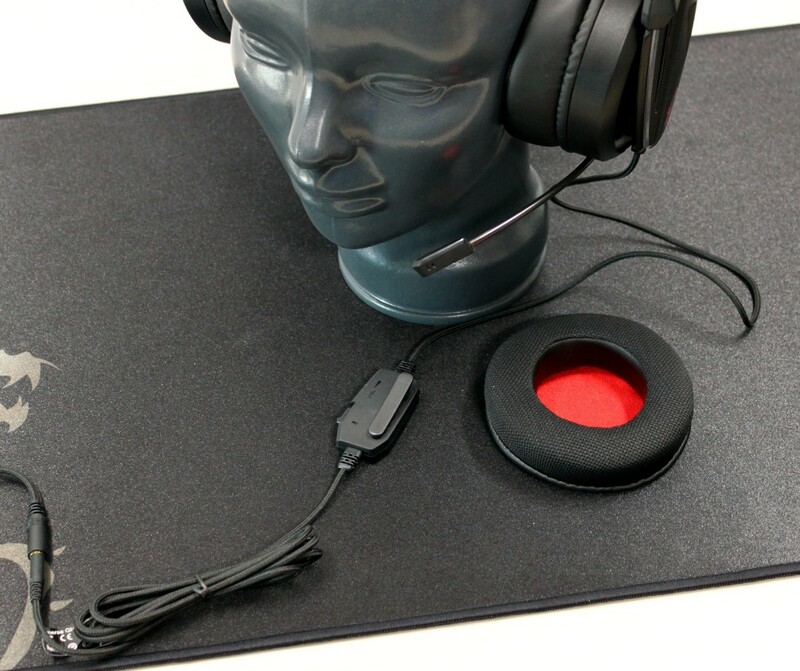 Down below, I’ve listed these, followed by a couple of photos that provide a good overview of the features offered by the headset, mouse and keyboard - there’s not really much to add about the mouse pad. Having gone over the specifications of all four products, it’s finally time to unbox everything and have a closer look at what we have in our hands. Let’s do just that after the group shot below. 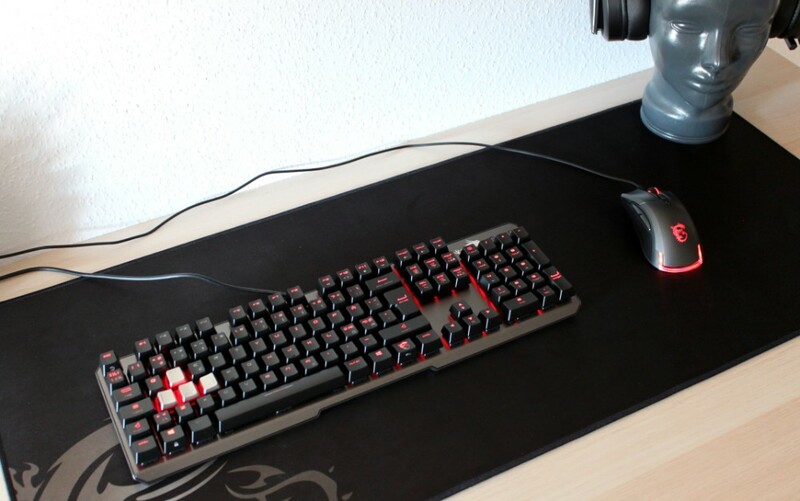 We’ll start things off by looking at the gigantic mouse pad that MSI added to the bundle. The Agility GD70 measures no less than 900 x 400 mm. This means that it can act as a table surface for both the keyboard and the mouse. Given its fabric and rubber qualities, it offers nice comfort for your wrists when typing. 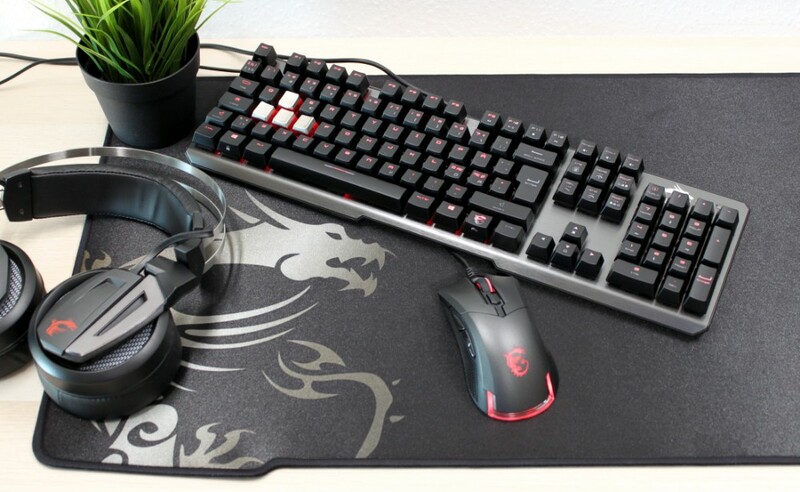 The mouse pad naturally features MSI’s dragon and gaming logo in the top right corner. The entire edge of the mouse pad is stitched so that it won’t fray. Next up is the Clutch GM50 mouse, which is a relatively compact mouse, aimed at FPS gaming. On the front of the box we see a photo of the mouse itself, whilst, on the back, we see an illustration of the mouse, split into several parts, thereby revealing the sensor and switches of the mouse. Inside the box, we simply find the mouse and a manual. That’s it. The GM50 is bestowed with the Pixart PMW-3330 optical sensor, featuring a maximum speed of 7200 DPI. There are five different DPI-levels that can be managed via the button on the top of the mouse, behind the scroll-wheel. However, there’s no indication of what level you are currently on, which is a shame, since we do see this feature on competing products. 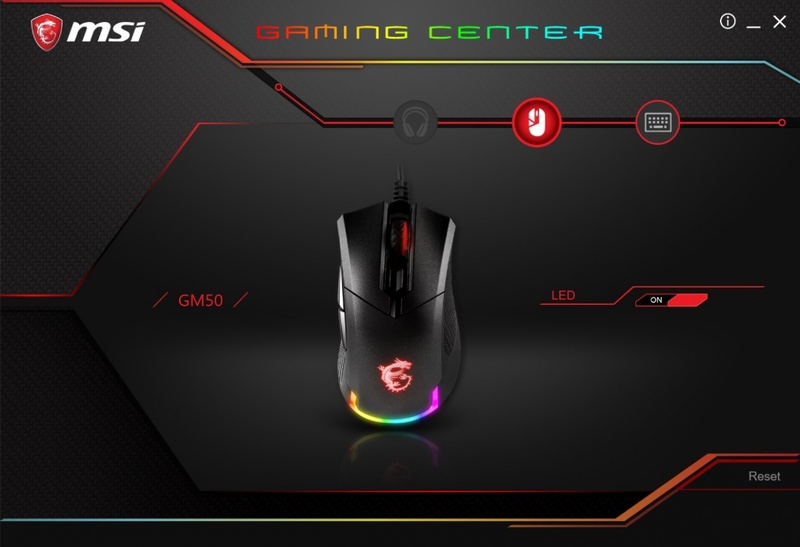 It’s nice to see that MSI has has decided on the well known Omron switches for the left and right mouse buttons that are rated to more than 20 million clicks. The keyboard that has been included with this gaming bundle is the Vigor GK60, which is a full-size keyboard featuring mechanical switches. More specifically, it features the Cherry MX Red switches, with built-in red LEDs. Wait, what? No RGB? Given the price point, I’d personally expect this keyboard to also feature RGB LEDs, but if you love the color red, then you’re good to go. Other than the keyboard, the box also contains an extra set of WASD-keys, a tool to remove the keys and a manual. 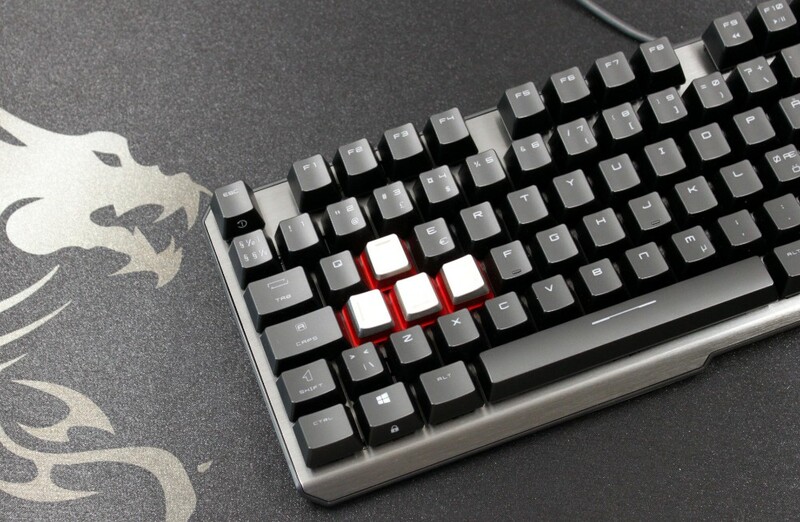 The top plate of the Vigor GK60 is made in nice aluminium, and around the numeric keypad, we find the familiar MSI dragon, along with the indicator diodes. There’s also a row of media playback-shortcuts provided as secondary F-key functions in the top, and in the Page Up/Down area. Here, you can, among other things, adjust the light-up intensity and control media playback. In the opposite end, we find four pre-installed buttons in a metal finish with a red background. According to MSI, these are better for gaming purposes, but I immediately swap these out with the regular keys, as I prepare to use the keyboard. It’s great that a tool for easily removing the keys is included, as can be seen with the extra keys on the photo below. On the bottom side of the Vigor GK60, we find five solid rubber feet, as well as two tilting legs that can be flicked out in order to give the keyboard more of an angle - something that I personally prefer. Also, notice the groove running down the middle. This gives you the option of running a cable, e.g. headset cable, underneath the middle of the keyboard, without affecting the keyboard position - smart little detail, MSI. 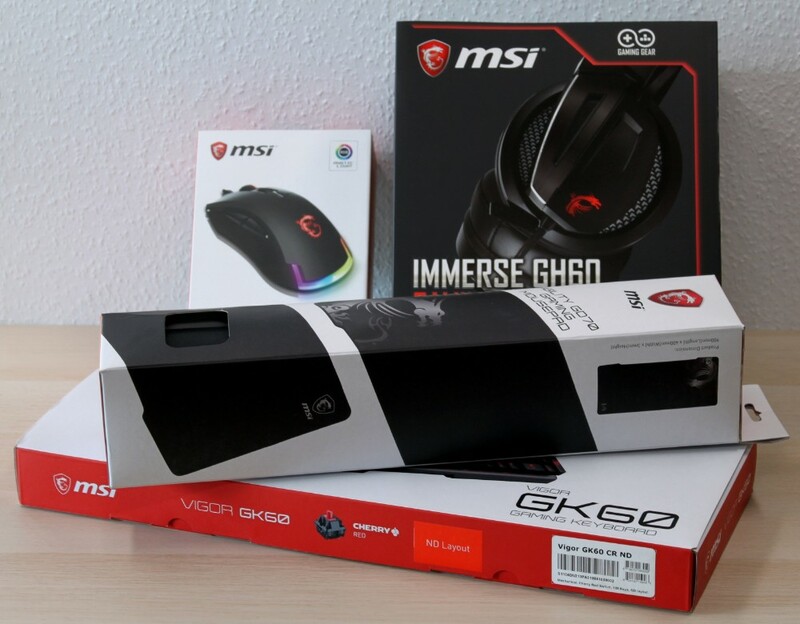 We’ve now arrived at the last product in our gaming bundle from MSI, before moving on to the accompanying software. I’m of course talking about the headset. It comes in a red/black box, which features a photo of the product on the front, as well as the product name and product features. 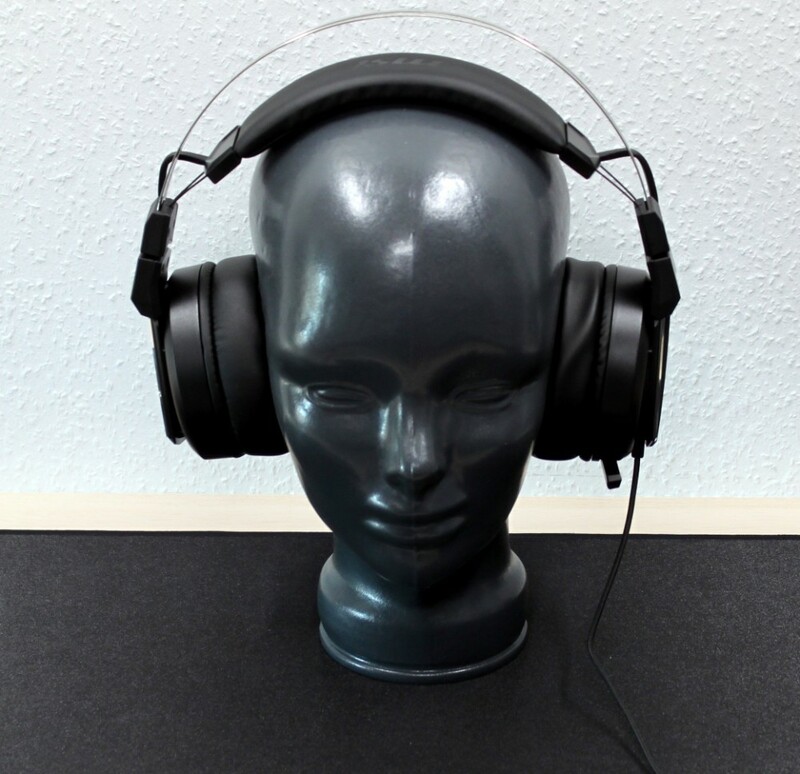 The Immerse GH60 headset comes with a Hi-Res Audio certification, which means that it features a wide frequency response range, and therefore can render a higher audio fidelity compared to normal headsets, at least on paper. Compared to similar products that we’ve reviewed recently, this headset features a significantly bulkier range of accessories. Apart from the Immerse GH60 itself, we also find a manual, a carry pouch made from nice artificial leather, as well as a pair of extra cloth ear pads, whereas the pre-installed ones are also made from artificial leather. It’s really nice that MSI offers this option of alternating between these two materials. There are no size adjustment options around the ear cups. Instead, we find a self-adjusting headband, which means that it will adjust itself “automatically” according to the size of your head, upon being equipped. In the left ear cup we also find the retractable microphone, which can easily be extended when needed. There’s also a built-in in-line remote control that can be used to adjust the volume, independently of the source, as well as turning the microphone on and off. We’ll just throw in a couple of shots more of the headset on our model head, before moving on to the software for the Vigor GK60 keyboard and Clutch GM50 mouse. 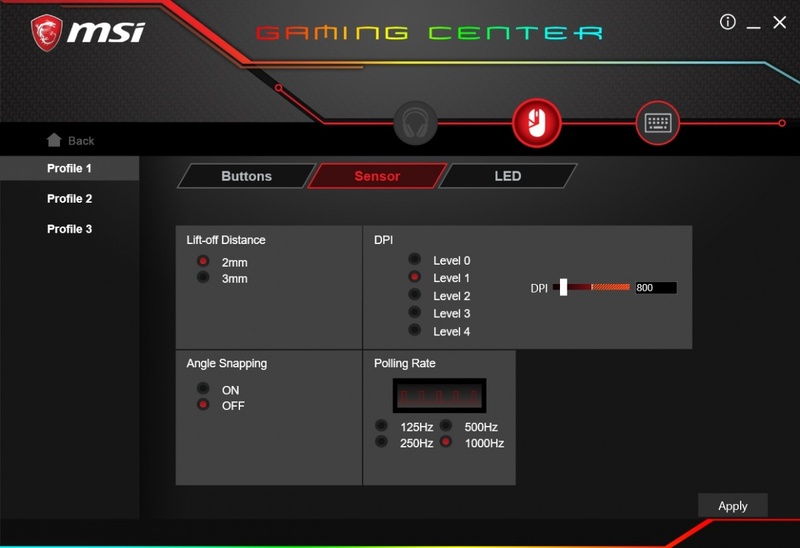 After a quick visit to MSI’s website, I acquired the Gaming Center software, which is used to control a lot of their computer accessories, e.g. headsets, keyboards and mice. Let’s start by having a look at what options the software will offer us in relation to the Vigor GK60 keyboard. The first photo shows us the first screen that meets us, when running the software. Here, we have the option of selecting between the connected devices, in our case the mouse and keyboard. We select the keyboard and are sent on to the next screen. Here, it’s possible to adjust the light intensity and to switch between a number of effects, and that’s about all there is. There are no other adjustment options for the keyboard, other than the light, which are only one colour anyways. Quite tame, to be frank. We skip back to the main menu and select the Clutch GM50 mouse instead. With one click, we are sent to the second photo below. Here, we have the option of selecting which functions each button on the mouse should be bound to, and we can quickly switch between three different profiles on the left-hand side. 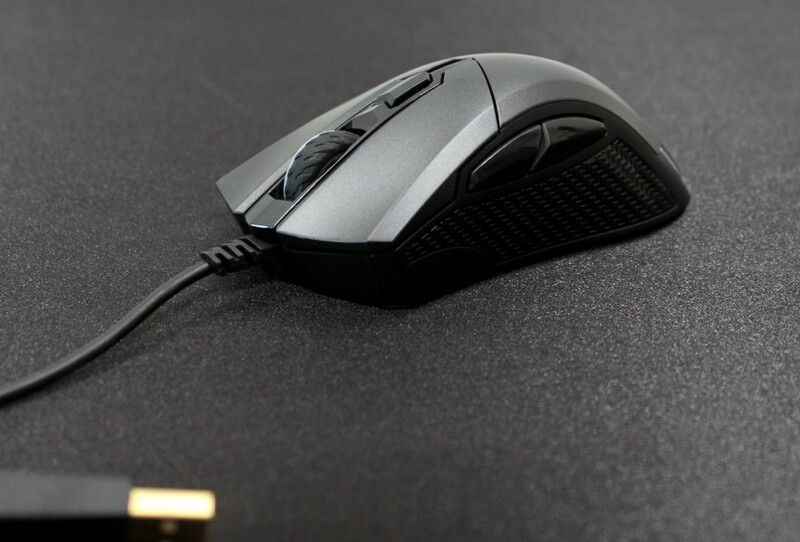 In the menu “Sensor”, you can adjust the lift-off distance, angle snapping, polling rate and, of course, the DPI-speed of the PMW-3330 sensor that the mouse is equipped with. There are five different levels to play around with, and all of them can be adjusted in intervals of 100. 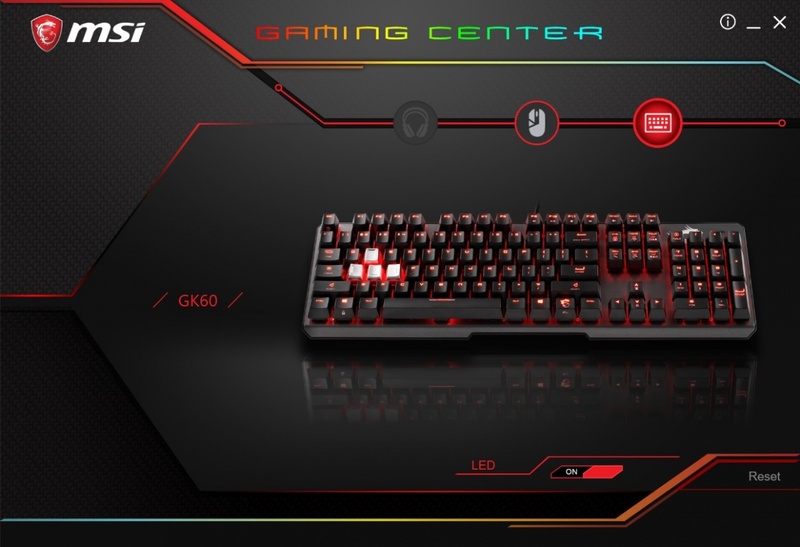 Last, but not least, there is also an LED menu, under which you can select between a range of preconfigured colours, adjust intensity, speed and, of course, switch between a number of different effects - significantly more options compared to those of the Vigor GK60 keyboard. Let’s close the software now, and return to the review, where we will be using all four products! The last stop, before the final conclusion, is up, and it’s now time to evaluate how all of the four products of the MSI gaming bundle are to use. Similar to when we went over the specifications and features of each product, I will be dividing the test in a similar way. I’ll therefore be focusing on the mouse and mouse pad, followed by the keyboard, and finally the headset. 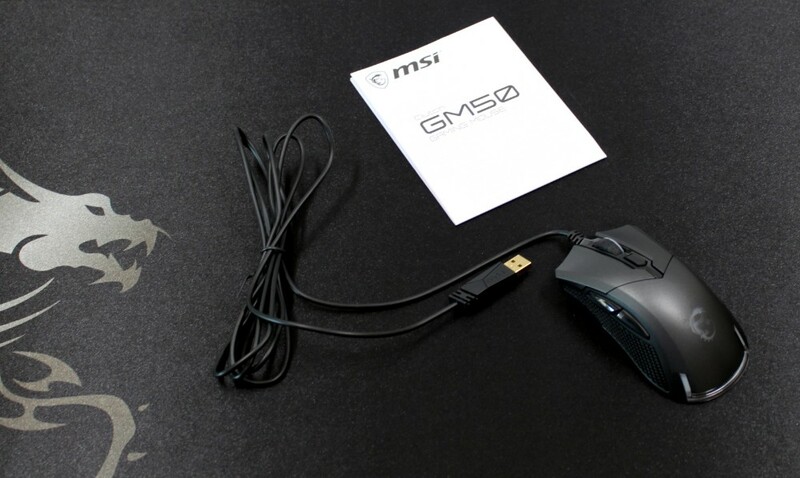 The Clutch GM50, with its 87 g, is a very lightweight mouse. You need to keep this in mind since gamers have a lot of varied preferences when it comes to this. Personally, I prefer something in the middle, and therefore, I find the GM50 a bit too much on the light side. With the option of adjusting the speed up to 7200 DPI, this mouse should be able to satisfy the vast majority of gamers’ needs in terms of speed. 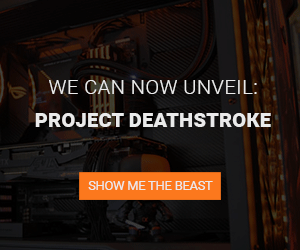 To be honest, it’s turned into almost a gimmick, these days, with mice going all the way up to 12000 DPI and more, I mean, who will ever really need that? I’ve decided on leaving my GM50 at the settings I most commonly use, i.e. 1000 DPI on the desktop, and 400 when gaming. Pixart makes a lot of different sensors, and the PMW-3330 sensor used here, exists somewhere in the middle of this range of offerings. This means that this mouse, combined with the Agility GD70 mouse pad, offers a lot of control and swiftness. The GM50 easily slides across the surface of the mouse pad, and I never exceeded the edges of the mouse pad due to its sheer size. 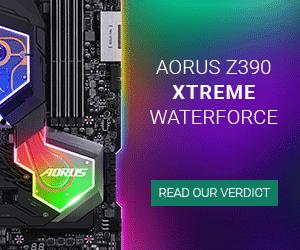 Both in terms of gaming and precision work, the two products formed a wonderful team - so, things are looking quite good so far. The Vigor GK60 is up next, and we’ll be having a look at its performance and comfort under use. In terms of the prior, there was nothing to fault here. A Cherry MX Red switch is a Cherry MX Red switch after all. There’s no difference or variation here - we’re dealing with the real thing. This switch is also the one we find on the vast majority of gaming keyboards today, so it makes sense that MSI decided to follow troop here. I won’t bother with going into too much detail about how the switch feels compared to other keyboards on the market. Instead, I recommend that you check out our comprehensive guide on this exact topic RIGHT HERE. Instead, I will talk a bit about my experience using and working with the Vigor GK60. Despite it being nice to have media-shortcuts via the FN-button and additional adjustment options for the light, I do prefer having dedicated buttons and software for these features. I was sorely disappointed when I installed the software for the Vigor GK60, and discovered that it was only the lights that could be adjusted, and nothing else. Not even the polling rate, ghosting or programmable keys were available, which simply doesn’t make sense with a keyboard at this price point. The comfort of the Vigor GK60 is OK, but nothing more than that. A typical mechanical keyboard is rather thick, and there’s no exception provided here. Therefore, it would’ve been nice, if a wrist rest was to be included in the box, especially, once again, at this price point. As you can probably tell already, I believe the Vigor GK60 to be priced a bit too high, and despite it doing exactly what it should, and the build quality being on point, I stand by that verdict. Lastly, let’s have a look at the Immerse GH60 headset. We’ve previously reviewed the more expensive GH70 headset, which uses a USB-connector. It received a somewhat mixed review. The GH60 uses a regular headphone jack connector, which means that it is the sound card of your computer that renders the sound, and what a nice change that is. The sound of the Immerse GH60 is, in my eyes (or ears) leagues ahead of its more expensive brethren, the GH70. There are more details in the soundscape and it’s capable of playing much louder. The comfort is identical, though, and the headset sits fine on my head, although a bit to the loose side. Still, it’s really nice that you can choose between either the fabric or artificial leather ear pads. The Hi-Res certification means that the large 50 mm neodymium driver units, within the GH60, are capable of playing all the way down to 20-40000 Hz, which, on paper, sounds very impressive. However, I do have my doubts whether this was really the case. Still, they render a nice crisp sound within all genres of music and in gaming, and they possess a much more powerful bass compared to the GH70. I’d say that the microphone is above average and the sound quality of it is also better than that of the GH70. All in all, a very fine and reasonable headset at its price point. Now, let’s talk a bit about the price and then wrap up this review below, with our conclusion. Let’s gather our thoughts and put our final thoughts, on the MSI gaming bundle, into writing. It’s always a bit difficult when dealing with multiple products in a single review, but I feel we made it all the way around the products. Allow me to add a few comments on the Clutch GM50 mouse. The weight is low, the sensor is good, and the same applies to the design and Omron-switches used. It’s as simple as that. Overall, there were no big minusses worth mentioning here, when it comes to the GM50. It was really comfortable to work with. However, it would’ve been nice to be able to read the current DPI-setting without having to consult the software. The Agility GD70 mouse pad and GM50 mouse complimented each other greatly. The Vigor GK60 keyboard is probably the one product, in this bundle, that I have the most mixed feelings towards. In general, it’s a nice keyboard, and it does what it is supposed to do. If only it had cost $45 to $60 less. I mean, the $150 asking price is simply too much compared to what you actually get. The lack of RGB lights alone is a no go when in this price range. At least, it’s nice to see MSI making use of real Cherry MX Red switches, and not some cheap knockoff. Also, the build quality is as it should be, and the same goes for the media-shortcuts. The software is kind of a joke, and the only option available, the light controls, can be done via shortcuts anyways. The Immerse GH60 is a solid headset in many ways. It’s a solid build quality. The sound is very nice and detailed, and the headset is capable of playing really loud without distorting. This is, of course, also determined by the sound card in your computer, since the GH60 uses a headphone jack connector. I would definitely argue that this headset performs significantly better compared to its more expensive big brother, the GH70, that we’ve also reviewed previously, as long as you can make do without surround sound and RGB lights on the ear cups. Finally, the extra ear pads and carry pouch makes this an even more attractive product. All in all, we arrive at a final score of 8.5/10 as well as our Safe Buy award for the MSI gaming bundle. MSI has collected four solid products that perform well individually, but certainly also in unison. There are a few scattered hiccups, but as a whole, there’s a lot of positive things to say. Whether you should go all in and get all of these products, or simply one of them, is completely up to you. You definitely won’t go wrong with any of them.